Ricefield Arts project When Red, Go Green played host to our visible mending workshop with the Speedweve. The When Red, Go Green project aims to increase climate change awareness and encourage sustainable living in their community. 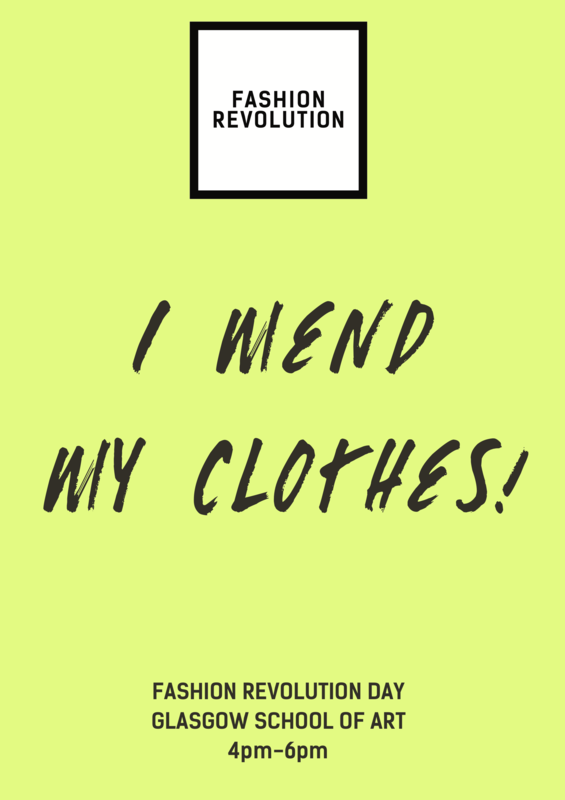 MEND for FASHION REVOLUTION DAY. 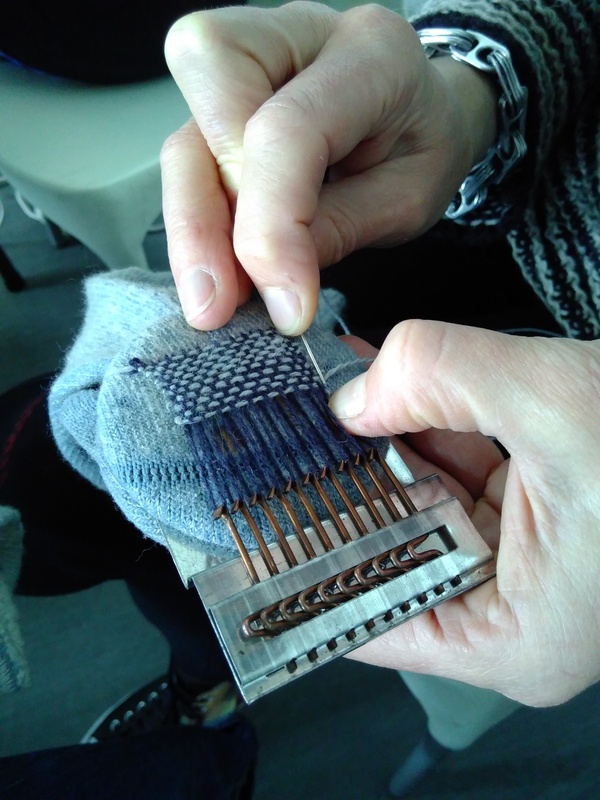 Glasgow School of Art played host to a wonderful days mending. Lots of people mending for the first time, and with great results. Fashion Revolution is a not-for-profit global movement with teams in over 100 countries around the world. They campaign for systemic reform of the fashion industry with a focus on the need for greater transparency in the fashion supply chain. 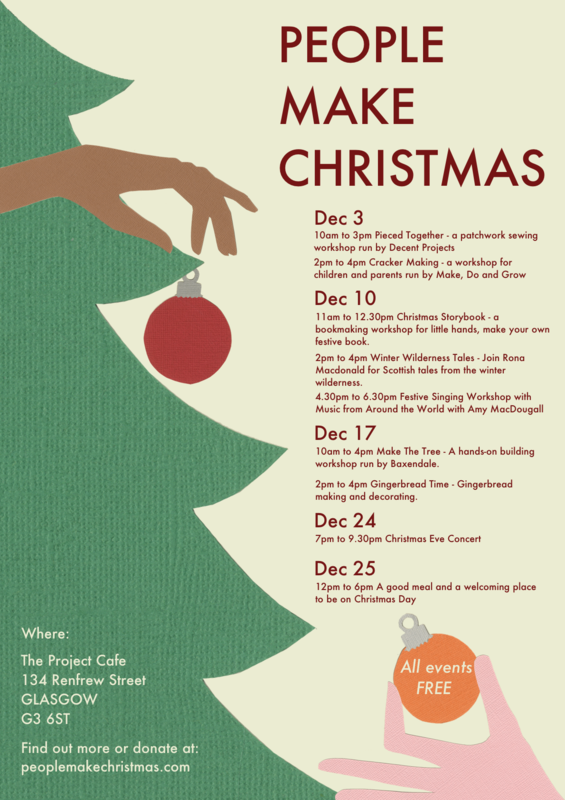 PEOPLE MAKE CHRISTMAS aimed to bring communities together through workshops and events in Glasgow throughout December 2017. And on Christmas Day, was a place to come and enjoy the day itself with food, comfort, and company of others. It was great organising this event and we were fortunate to be recognised with an Epic Award Nomination from Voluntary Arts Scotland. Find out more about it: peoplemakechristmas.com . As part of Edinburgh's Festival of Empathy in Edinburgh 2016 we ran a workshop encouraging participants to consider the human workforce behind all our clothes. Working in teams of two, participants helped each other to make a simple tote bag. As they stitched, teams 'inked' their fingertips so that every touch they made transferred to the bag. Once the bag was complete, each pair swapped their creations, taking away their team-mates fingerprinted bag, and a colourful temporary reminder on their own fingertips. 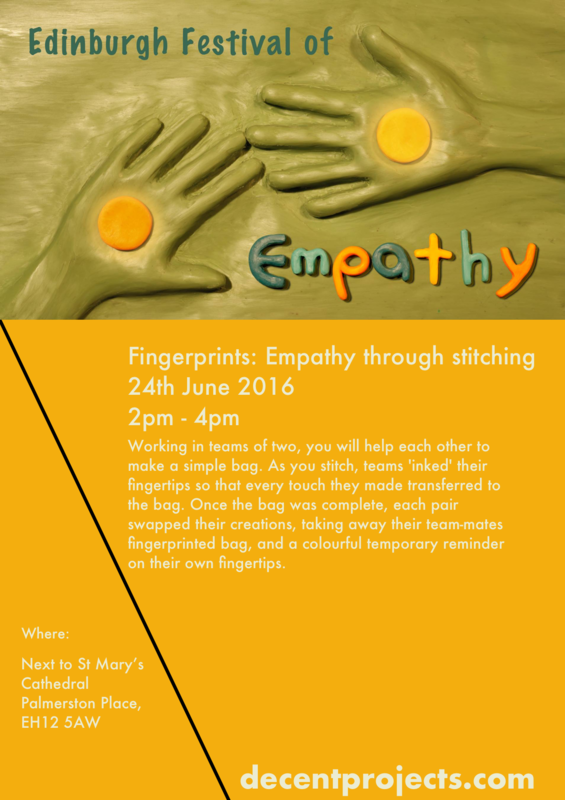 It was amazing taking part in an Empathy Festival and we'd love to see more happening all over the country. Learn more about the festival at: Empathy Festival Facebook Page .